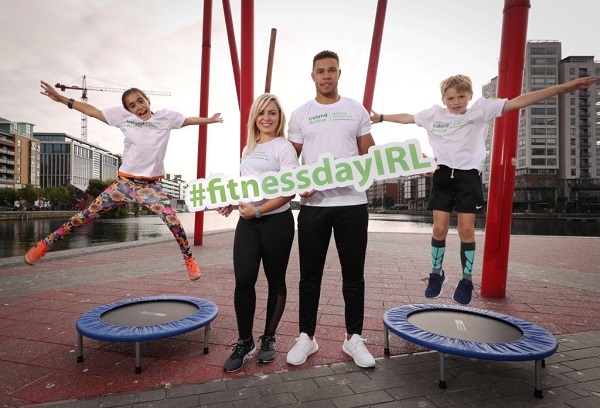 Cork Camogie legend and performance and wellness coach, Anna Geary and Professional Rugby Player, Adam Byrne have teamed up with Ireland Active to launch National Fitness Day 2018. On this year’s National Fitness Day (27th September 2018), Ireland Active will host the very first Docklands Fitfest as part of Dublin City Council’s Dublin Sportsfest. Docklands Fitfest will offer everyone the chance to enjoy group fitness classes including Pound Fitness and HIIT among many other activities. In addition, participating Ireland Active members across the country will open their facilities on National Fitness Day. People of all ages will have the chance to avail of free activities, and a range of taster sessions including yoga, aqua-aerobics, group exercise, Pilates, boxercise and fitness training. All of the events will be run by qualified and registered fitness instructors. 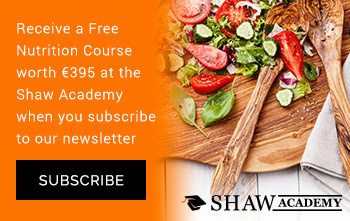 Ireland Active will also be offering 10 free membership vouchers worth €250 each to participating leisure centres and gyms as prizes to some of those who get involved on the day. National Fitness Day, spearheaded by Ireland Active is supported by Sport Ireland and Healthy Ireland and aims to promote the benefits of physical activity, whilst showcasing the range of facilities, sports and options available across the country for people to choose from. Ireland Active has this year partnered with Fitbit who share the same dedication to helping people lead healthier, more active lives. In celebration of National Fitness Day, Fitbit will be giving away twenty Fitbit devices as part of the initiative across the country. This year, National Fitness Day and Docklands Fitfest will fall within Dublin Sportsfest (23rd – 30th September), organised by Dublin City Council and Dublin City Sport & Wellbeing Partnership, which aims to showcase the wealth of sports clubs, facilities and recreational facilities available in Dublin City. Information on the activities and participating facilities nationwide including Docklands FitFest can be found on www.nationalfitnessday.ie<http://www.nationalfitnessday.ie>. Information will also be made available across Ireland’ Active’s social media channels.